It seems that at just about any “progressive” protest rally, union unrest or occupy tantrums, it doesn’t take long before someone either in the crowd or on a speakers platform will state words to the effect of, “my employer make more off my labor than I do,” trying to build sympathy that they don’t receive proper wages for whatever their labor may be and whip up emotions to support demands of more. In those crowds of envious and jealous malcontents, it is just what many desire to hear and speakers know it all too well. In the case of unions, demands follow for even more with no realization that any increases in business costs to employers must be passed along to consumers in order for their employer to remain in business and afford to pay them what they demand. In a vicious circle, even those making the demand end up with less value for their dollar as consumer prices continue to climb. Invariably, comparisons will be made that the laborer works hard, an undeniable fact and that while they may earn a decent wage, the employer is “raking in the dough” and enjoying large profits. 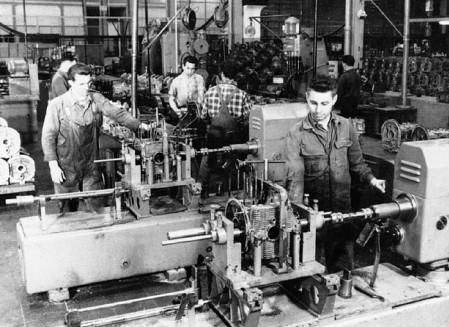 Some even claim that they end up investing in the “tools of the trade.” Mechanics, machinists, mill workers and more may end up owning over $30,000 worth of tools needed to perform their jobs and believe that to be a major investment, even though spread out over 30 or 40 years.